After attending a couple of concrete sawing and drilling and demolition conventions this spring, it has come to my attention that our industries seem to doing rather well all over the world. At the 2018 IACDS convention that was held in Tokyo, all member associations reported positive business conditions for the concrete cutting industry. In particular, the European markets are all performing, a situation that will seemingly exist for a while. Even the United Kingdom is showing improving results. Due to Brexit many believed that the concrete cutting industry would dip, but on the contrary, it has been strengthened. At the IACDS convention we also learned that the Japanese construction market is booming, in particular in the Tokyo area. The reasons are several fold: first of all many structures, in particular bridges that were built in the 1950s and 1960s, need updating or to be replaced. It is estimated that some 700,000 bridges need renovation work. Of course, the fact that Japan is hosting the 2020 Olympic Games will see the requirement for a great deal of infrastructure development work. This all means that the approximately 40 concrete cutting firms in Japan will have a rather busy time in the coming years. Also the world’s demolition industry is quite busy due to a construction industry booming in several corners of the world. 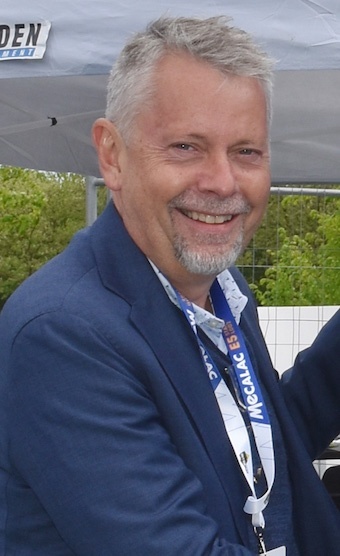 All this together means that machine and equipment fleets are being updated or will be during the coming year, which also is a good sign for next years edition of the Bauma Munich show, where records may again be set. It is also believed that quite a number of new products will be released at the show. As a publisher, we can also see that many manufacturers are gearing up for Bauma marketing wise. This means that PDi and its sister magazine, PDa, have already started to prepare 2019 media kits which are expected to come out at the beginning of September. We are planning quite a number of pre Bauma issues at the end of 2018, and the beginning of 2019, with information about the show being published in April 2019. For those of you that live in the Northern hemisphere, I guess some well-deserved weeks of vacation are soon going to take place. Or will you instead take the opportunity to work? In my part of the world, the warmer period of the year is traditionally when a lot of projects are started due to better weather, and no risk of ground frost. 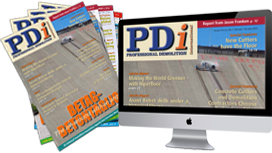 Whatever the following months look like, if you have summer or winter, depending on where you live, I hope you will enjoy yourself, and spare some time to read this issue of PDi which is packed with interesting stories. In this issue there are quite a number of site reports. One comes from Edifice Engineering in India that is in the process of taking down a really large superstructure - a 12 km long bridge in the Northern part of West Bengal - located rather close to the border of Nepal. There are also a number of special features on new equipment for dust extraction and air cleaning, mini excavators and the latest news in terms of wall and wire saws. Also included are reports from the recent IACDS and EDA conventions, and a review of the Intermat show that took place in Paris in May. I also would like to mention that if you are in Sweden in the end of September, or are planning a trip to the northern part of Europe, don’t miss the Scandinavian demolition show DEMCON that takes place in Stockholm 27-28 September. After a very busy spring, from a warm and dry Stockholm, best wishes for the summer.